During the Franco regime, a cynical joke was often told to indicate the inefficiency of Spain’s bureaucracy. A foreign tourist, so it went, called at an administrative office at 4 p. m., but found the door locked. Coming across a doorman, he enquired, ‘Do Spanish civil servants not work in the afternoon?,’ only to be told, ‘Oh no, it’s in the mornings they don’t work. The afternoons they spend at home.’ As with many political jokes, the satire here barely masked an underlying truth. 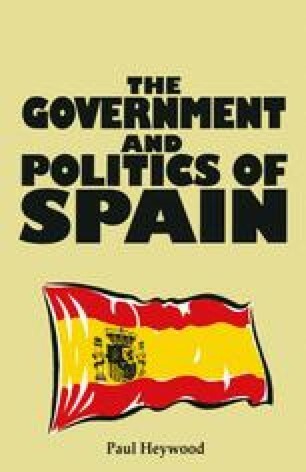 Public servants in Spain have never enjoyed a reputation for efficiency, a legacy which continues to inform popular attitudes to ‘la administración’ in spite of a series of reforms enacted under the Socialist administrations of the 1980s.